Bob Dylan’s oeuvre is steeped in America’s past. Like his original inspiration, Woody Guthrie, he penned dozens of topical protest songs, and many more of his tunes can be considered imaginative historical fiction. His 35th studio LP, Tempest, takes us deep into our nation’s yesteryear, and the images just tumble out. With the ever-touring raconteur sliding into Chicago once again, and a presidential election happening this month, it seems high time to consider Bob Dylan, American historian. A snotty young Dylan told Studs Terkel he wrote this protest tune from the point of view of James Meredith, the first black student enrolled at Ole Miss. It might be folk, but it slays with the sardonic vitriol of punk. Despite what Bob Dylan might have said, this one couldn’t have been about the Cuban missile crisis, as it was performed at Carnegie Hall a month before the nuclear standoff took place. Yet, the tune captures impending doom suggesting an environmental fallout of cataclysmic proportions. One of a number of civil-rights protest songs penned by the storyman, the song recounts the killing of a barmaid by a wealthy, drunk tobacco farmer in Maryland. The convicted attacker got only six months in jail, which didn’t sit well with the song’s creator. Dylan not only wrote this fist shaker about the killing of civil-rights activist Medgar Evers, he performed it at the rally for the March on Washington that featured Rev. Martin Luther King Jr.’s “I Have a Dream” speech. Extracting clear historical meaning from this sprawling, free-association poem might seem a fruitless effort. But Dylanologists have pointed out that its reference to “postcards of a hanging” and “a circus” suggest at least one verse is concerned with a 1920 lynching in Duluth, Minnesota, near Dylan’s father’s boyhood home. In later verses, Dylan encounters Einstein, Sigmund Freud, Emperor Nero and others. It’s a veritable Bill & Ted’s Excellent Adventure for the former Mr. Zimmerman. Who needs the movie? Dylan’s account (written with Jacques Levy) of the unjust incarceration of boxer Rubin “Hurricane” Carter for triple murder is among his most vivid and memorable storytelling tunes. Dylan was eventually vindicated for his efforts, as Carter’s conviction was overturned in 1984. Dylan’s biography of gunned-down New York mobster Joey Gallo is unusually sympathetic—it treats him as a cultured, Nietzsche-reading underdog drawn into violence against his will. Later, Dylan would distance himself from the tune and leave cowriter Levy holding the bag for its lyrical content. 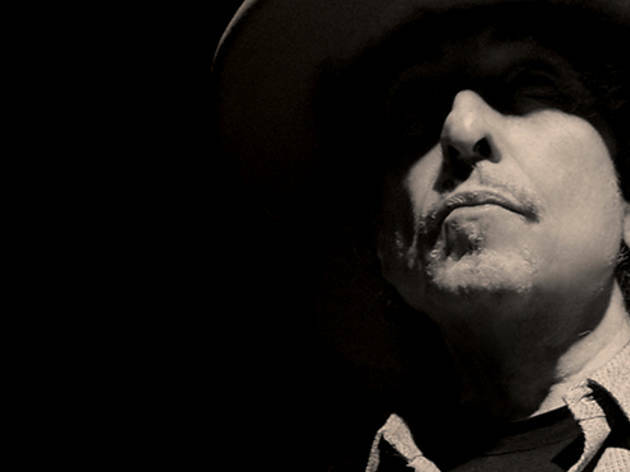 Dylan hit his critical and commercial low point in the 1980s, before rebounding with the Traveling Wilburys and Daniel Lanois–produced LP Oh, Mercy, which features this track inspired by the fall of minister Jimmy Swaggart. Dylan’s Carter Family–inspired title track is about the Titantic disaster, more specifically, the movie about the Titantic disaster (yes, the one with Kate and Leo), but Dylan’s version has some of the passengers in a violent melee before the boat goes down. Bob crossing streams with mass culture? It’s happened before, with cameos on sitcom Dharma & Greg and reality show Pawn Stars. No kidding. 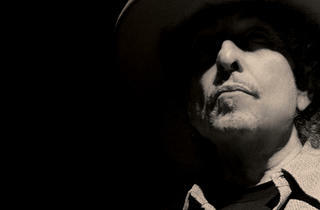 Bob Dylan plays United Center Friday 9.